I wrote about my participation in the "My Hero" iEARN Global Learning Circle in my Master's research project (2017). This project was done with my high school students at Mohamed V. High School. 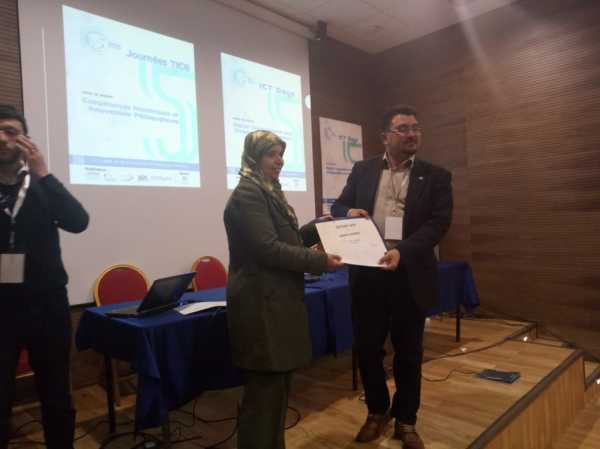 In May 2018, I presented my research at 5th Edition of ICT Days Conference: "Digital Competencies and Pedagogical Innovations," an annual event organized by Al Akhawayn University in Ifrane, Morocco. 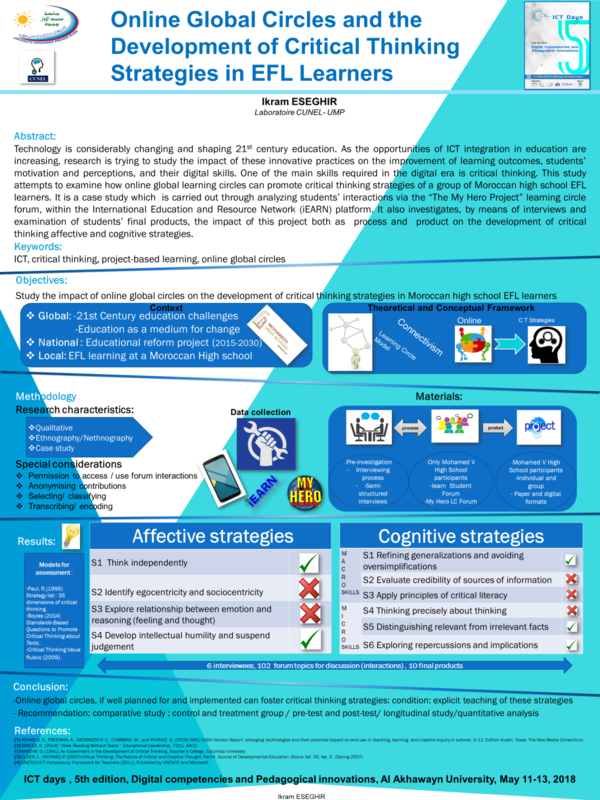 This poster describes my research as a member of a Global Learning Circle on the iEARN network. We are proud to announce Ikram Eseghir's poster received the Best Poster Award. See photos after the poster.